My favorite Wednesdy picture yet! This picture just warms my heart for so very many reasons. 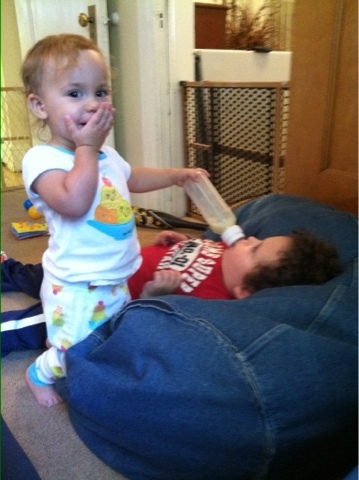 What a sweet sister (and he's got her wrapped around his finger, right?!). I love this. Love.